If the mystery photos in Lizzie Bushby’s Victorian album can be identified they’ll help make sense of the life and times of a young immigrant girl travelling from 19th century Ireland to the remote shores of New Zealand. Lizzie’s album is a time capsule of familiar faces and figures from county Cork’s yesteryears, besides containing photos of family and friends in New Zealand and Australia. The photo montage of family, friends,priests and pope gives insight into the beliefs and values of a young Roman Catholic irish lass who travelled from Co Cork to start a new life on the other side of the world. Why Lizzie chose New Zealand when she had three sisters in Australia is yet another piece of the family history puzzle. 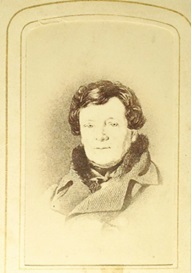 A photo in Lizzie’s album appears to be Irish political leader Daniel ‘The Liberator’ O’Connell (1775-1847),tireless campaigner for Catholic Emancipation. 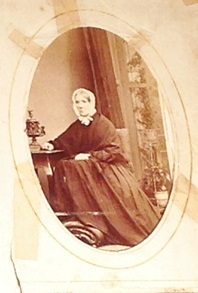 ‘Lizzie’ was Elizabeth Journeaux who according to her marriage certificate was born around 1855, of Roman Catholic parents from the Irish city of Cork. Her father though was of Huguenot descent, those French Protestants driven out of France after the Revocation of the Edict of Nantes in 1685 threatened their very existence. 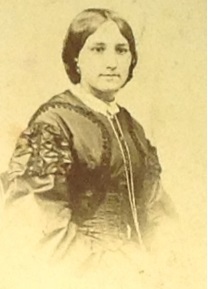 Lizzie had three known sisters who each emigrated to Australia but it was only recently after contacting me that her great grandson Bryan Corlett of Malta discovered his Australian relatives, as Lizzie’s sister Hannah ‘Ann’ Journeaux was my great great grandmother Mrs Brayshaw, from whom my father is descended. 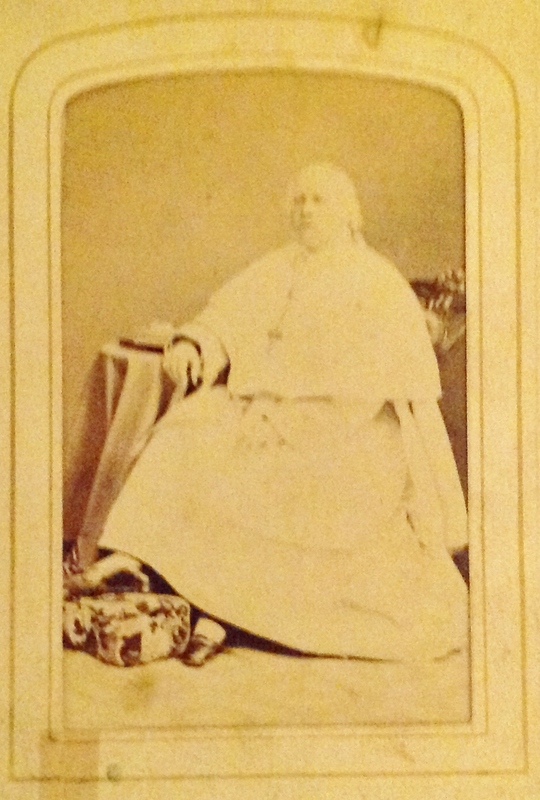 A mystery figure in Lizzie’s album might be a sister or relative. 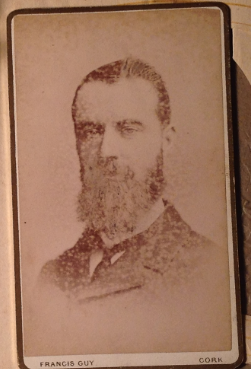 Bryan Corlett and his family are now hoping to make sense of the photos in Lizzie’s album. “My Mother said Lizzie arrived in Wellington. She was looking for her sisters, but never found them,” Bryan says of Lizzie’s migration from Cork. 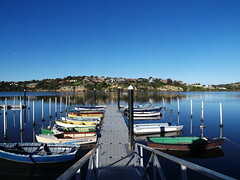 What isn’t known is if Lizzie Journeaux first travelled to Australia before arriving at Tinui, a small village near Masterton in the Wellington district of New Zealand’s north island. 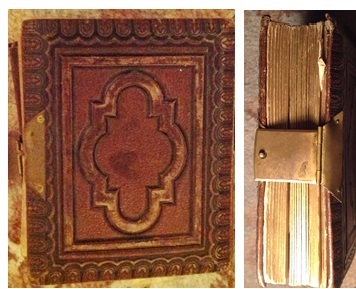 Lizzie’s father James Journeaux was a bookbinder, printer and stationer in the city of Cork. 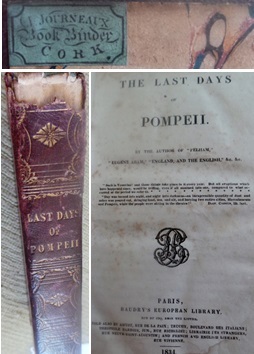 A recent find in a Dublin bookshop is one of his 1834 publications ‘The Last Days of Pompeii’, which carries James Journeaux’s bookbinder stamp inside the jacket cover. Family wonder if the unidentified male in this photo is Lizzie’s father. photo courtesy of Corlett family. By 1837 James Journeaux had married Mary Ann O’Connor, and business and post directories for Cork reveal that in 1844 James was working from 7 Bowling Green Street in Cork. 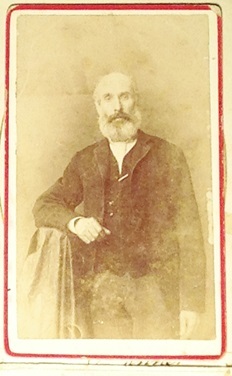 Two years later he had moved to ‘Half Moon and Paul streets’, and by 1856 his business address was 74 Paul street, Cork.Though his wife Mary Ann’s death has been identified in 1874 in Cork, the death of James Journeaux remains a mystery. 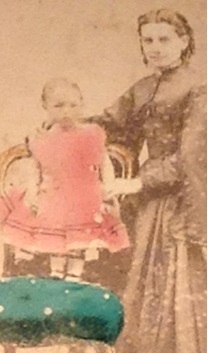 Lizzie’s sister Margaret Mills is named in this photo taken c1870 at Ballarat with daughter Adeline (Mrs Oliver Bedford). 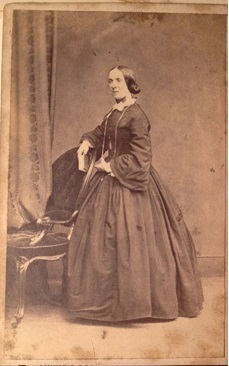 Lizzie’s eldest sister Margaret Journeaux (1836-1928) figures in Lizzie’s album. Margaret must have become her father’s assistant for when she migrated to Victoria in 1857 aboard the Thomas Arbuthnot she gave her occupation on the shipping lists at “Bookbinder”. 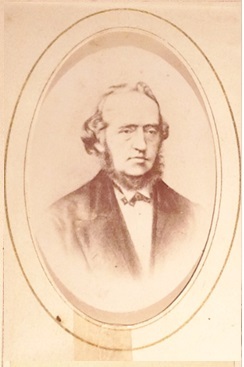 Margaret ‘Maggie’ Journeaux had initially gone to work near Geelong after her arrival in Victoria, but soon after began an affair with Ballarat bookbinder Andrew Davidson Mills (1813-1888) who was born in Berwick Upon Tweed to Nicholas Mills and Jane Davidson. 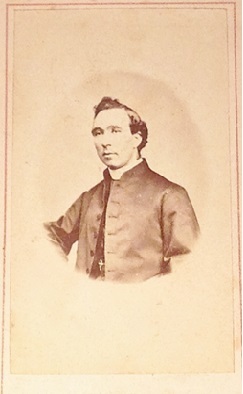 After the birth of their first two daughters Maggie Journeaux married A.D Mills by licence in the Church of Christ at Geelong, which would probably have horrified her catholic-believing mother. 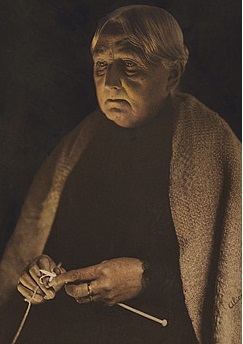 The couple had five daughters and one son including feminist, artist, photographer and studio owner Alice Mills (1870 – 1929) who trained in the photographic studios of Henry Johnstone and Emily Florence Kate O’Shaughnessy which is where she met and married its manager, the painter Tom Humphrey (1858-1922). Lizzie’s niece Alice Mills Humphrey set up her studio at Centreway in Collins Street, Melbourne and was a top ranking commercial photographer, frequently published in magazines and responsible for the portraits of many Australian soldiers and officers heading to the to the fields of WW1. 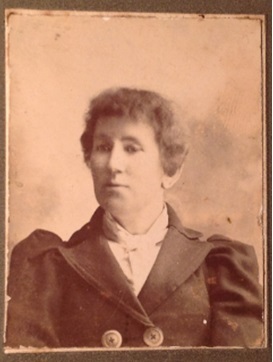 Mystery woman in Lizzie’s album photographed c1900 at Yeoman & Co, Royal Arcade Melb. 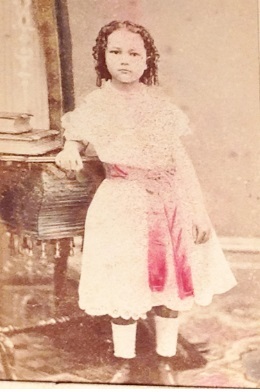 Possibly Lizzie’s sister, Ellen Sproule or Maggie Mills.photo courtesy Corlett family. 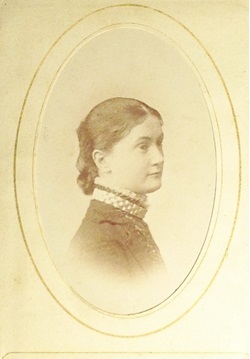 Ellen Mary Journeaux (1840-1916) was Lizzie’s second eldest sister and she followed Margaret out to Victoria, arriving in 1859 aboard the Argonaut. 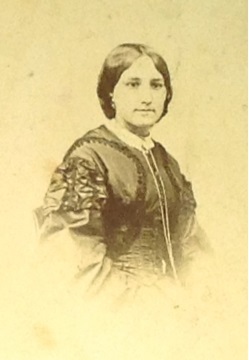 In 1863 Ellen married Sylvester Nevin/Navin of Ballarat but both her infant son and her husband died the following year. 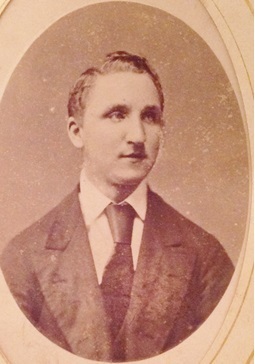 Ellen assumed what seems a defacto marriage to John Sproule who died in 1898. The administration of Sproule’s estate reveals Margaret financially assisted Ellen with costs and application processes and provided her with with a residence at 14 Winstanley Road in Armidale. 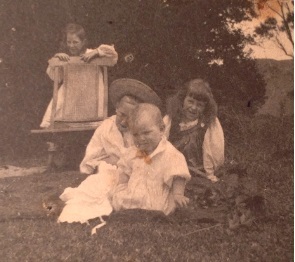 Ellen died in 1916 at the catholic ran ‘Magdalen’ asylum at Abbottsford and had no known surviving children. 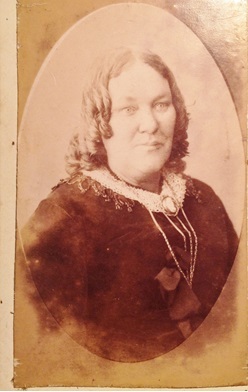 Hannah ‘Ann’ Brayshaw of Ballarat, sister of Lizzie Journeaux. 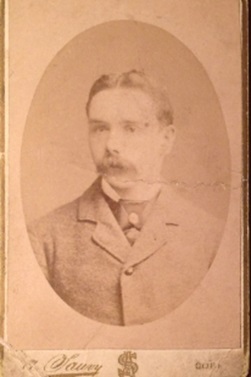 picture source: Williams family collection. 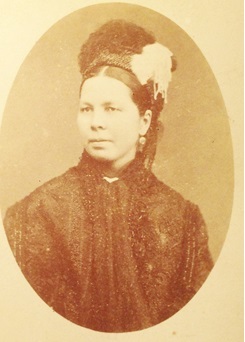 Hannah ‘Ann’ Journeaux (1842 – 1912) was the third of Lizzie’s sisters to migrate to Ballarat, arriving at Melbourne in 1860 aboard the Merlin. Three years later while working at The Lucky Woman’s diggings near Linton and as a single parent Ann gave birth to her first daughter Mary. Ann then began a relationship with George Runing to whom she had a daughter Jane, but found herself alone again as a sole parent. 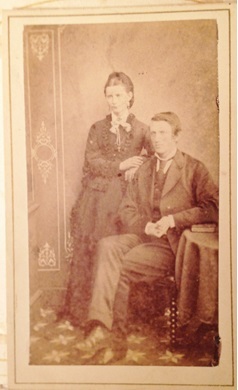 It was 1865 which Ann claimed as the year she married my great-great grandfather Joseph Brayshaw, who ran a landscaping and gardening business at Ballarat. The couple had a further 11 children including my father’s grandmother Mary Ann Brayshaw, who married Charles Francis Williams of Ballarat and who nursed my Dad when he was a baby. Lizzie is the last known of the Journeaux sisters to migrate. Another possible sister Mary married in Cork in 1874, following the death of their mother Mrs Mary Ann Journeaux, and it is puzzling why Lizzie migrated to the Tinui district of New Zealand rather than follow her sisters to Australia. 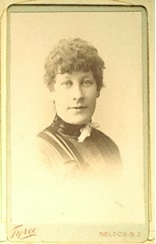 In 1889 Lizzie Journeaux was working as a housemaid when she married carpenter Leonard Bushby. They had a daughter Mary Jane the following year, but within 12 months Lizzie was a widow, following the tragic death of her husband. 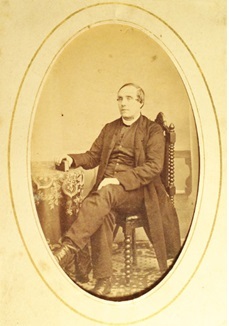 Father Theobold Mathew the temperance reformer was one of the easier identifiable photos in Lizzie album. picture courtesy of Corlett family. 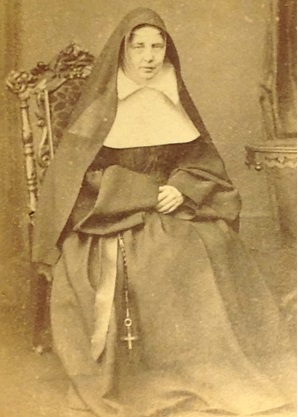 The array of religious, public and temperance figure in Lizzie Bushby’s photo album suggests a young lady strongly influenced by the Roman Catholic doctrine, which seems at odds with the somewhat non-conformist behaviour of her sisters. 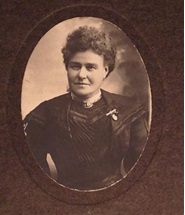 Until more is pieced together of Lizzie’s life in Cork and her arrival in New Zealand her family relationships remain somewhat of a mystery, as do so many of the faces in her carefully preserved family photo album. Unnamed female figure (grandmother?) 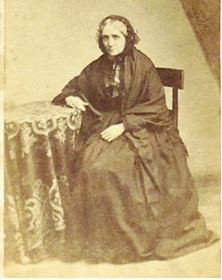 from Lizzie’s Album. Photographer – Chancellor,55 Lower Sackville st, Dublin. 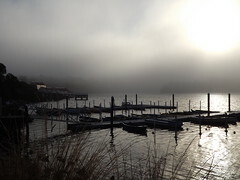 photo courtesy of Corlett Family. 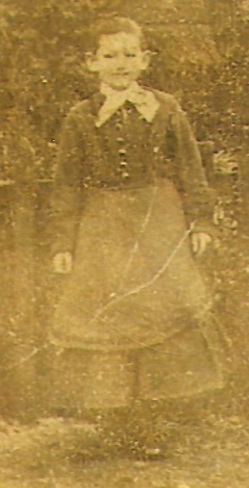 Unknown female figure thought possible a relative of Lizzie Journeaux’s. picture courtesy of Corlett family. 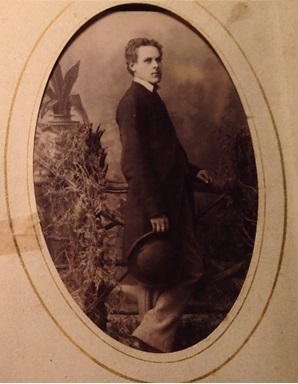 Unknown male figure by photographer FRANCIS GUY of 70 Patrick st, Cork. from Lizzie’s album courtesy of Corlett family. Unnamed female figure taken by photographer CALLAGHAN, 45 South Mall Cork. from Lizzie’s album courtesy of Corlett family. 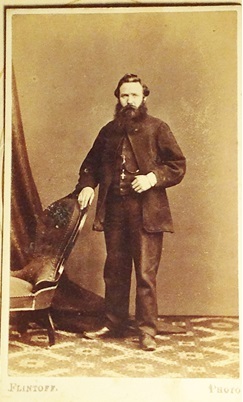 Photo marked Mr William McCafferty by FLINTOFF Photographers, Ballarat, thought to be Andrew Davidson Mills. From Lizzie’s Album courtesy of Corlett family. 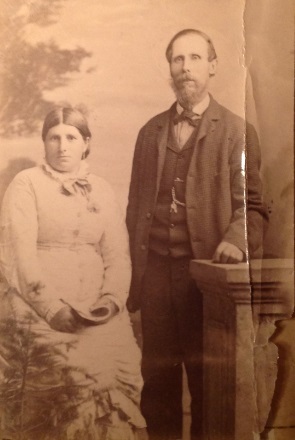 Photo believed to be Arthur Bushby and wife. from Lizzie’s Album courtesy of Corlett family.